It’s not long now until Santa starts making his lists and checking them twice so, with Christmas just around the corner we have put together our top picks for those perfect wintery gifts that are sure to put a smile on everyone’s faces. Here at Treeline HQ we are celebrating our ten year anniversary so we got in touch with local artist Jono Wood to help us create an exclusive piece of skate art and we couldn’t be happier with how they turned out. 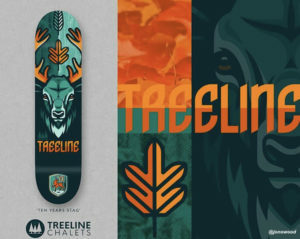 One of these limited edition ‘Treeline Stag Decks‘ would be the perfect present this Christmas. 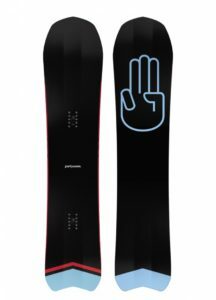 What better to way to hit the slopes this winter than with Bataleon’s brand new snowboard…. Who wouldn’t want to ride the ‘Party Wave’. This short, fat shaped board will bring you endless fun both on and off the piste. It is designed to be ridden around 5 -10 cm shorter than your all mountain board and is aimed at riders looking for a whole new snowboarding experience. Find out more on this here. Volcom’s new winter 18/19 collection is on point this season (as ever!) 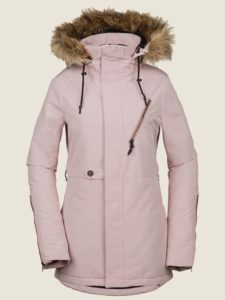 and our top pick for HER this Christmas is the Fawn insulated jacket. 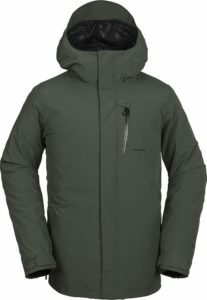 This jacket will ensure you are looking your best both on and off the mountain. With a slightly fitted and slim cut it is available in a choice of 4 irresistible colours and has a detachable faux fur collar. Keeping HIM both and warm and dry this winter our top pick for the men is this L Gore-Tex jacket. Help him be ready for whatever the mountains throw your way this season. Made from environmentally friendly materials; the 2 layer Gore-Tex membrane and fully tapered seams ensure a dry but breathable ride. 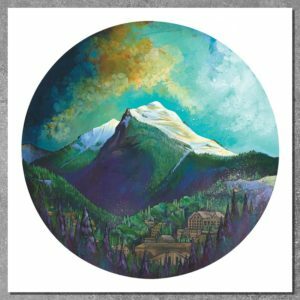 Another perfect present for any female mountain lover! With its clean, simple design the Flaunt NFX2 comes with 2 lenses and is designed to fit medium sized faces. 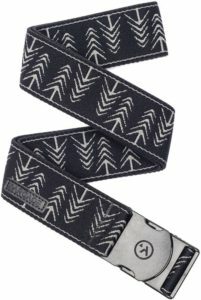 Arcade have designed a belt perfect for any outdoor enthusiast. Water resistant, stretchy, quick drying and available in heaps of rad designs they make the perfect present for him or for her. We especially like the ‘treeline’ themed prints! 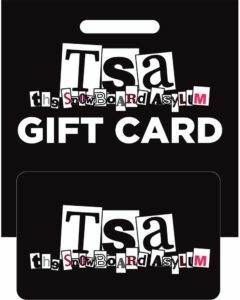 For the person who is alway shard to buy for and seems to have everything they need. This is the perfect present for anyone who loves the outdoors and can choose what they next need or wish for!